Experienced immigration services tailored to your unique situation. If you’re an investor looking to emigrate and invest in the US we can help you navigate the process through an EB-5 Program. 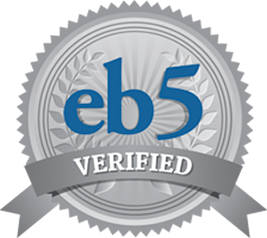 The EB-5 immigrant investor category allows a person and his or her family members to get a green card (i.e. live permanently in the US) by investing a certain amount of money in the U.S. and creating or saving 10 U.S. jobs. The minimum amount of money to invest is $500,000 if one invests in a rural or high unemployment area. Otherwise they must invest at least $1,000,000. For more than 20 years, I’ve worked hard to represent a truly international immigration law clientele, in addition to those individuals, families and businesses that I continue to faithfully serve in the Bay Area and Northern California. Among my foreign clients are those from Canada and Mexico, as well as those from Europe, Turkey, the Georgian Republic and South Korea. When I take on an immigration issue for you, I am committed to helping you for the long term. When future immigration issues arise, you can be assured that I will be there to help you whatever your immigration law needs. My holistic approach to immigration law allows me to treat the “whole client,” and settle matters positively in a way that offers peace of mind for clients and their families. If your San Francisco home or business has been plagued with an especially complex immigration issue, come to the Fariba Faiz Law Offices. I’m not the kind of attorney who’s content to settle for tired, cliché answers to problems that demand something far more special. I’m a lawyer who looks at immigration law holistically, representing the “whole client” in a way that resolves a situation, leaves nothing to chance, and preempts the possibility for future recurrences. I welcome the opportunity to meet you and your family, your Bay Area business and its leaders, or anyone else in need of my proven immigration law knowledge and talents. My Bay Area law firm has assisted families, companies and an international roster of clients for over 2 decades. I look forward to my next decade of service to you as well. 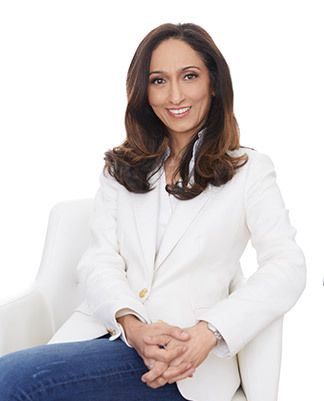 In order to meet the questions and needs of all prospective clients, at the Law Offices of Fariba Faiz we provide you with the ability to consult with Ms. Fariba Faiz online. You have the opportunity to present your case and your immigration concerns online, and receive a comprehensive analysis of the legal venues open to you. In this respect, the form should reflect information of the person who is seeking a temporary visa, permanent residence, citizenship, relief from deportation or any other immigration benefit. It is important that you complete the form in its entirety. If you are an employer seeking to sponsor one or more employees, we request a separate completed questionnaire for each employee. If you are a US citizen or permanent resident seeking to immigrate an immediate relative, please indicate the information of your relative on the form. Please allow 48 hours to for us to return to you regarding the possibility of a phone or in-person consultation. Should you retain our law firm and should we agree to represent you in connection with any aspect of the consultation within 30 days of said consultation we will credit the $175 initial consultation fee toward the overall cost of your case. All information contained in the following Immigration Consultation Questionnaire will be kept STRICTLY CONFIDENTIAL and will not be released without your permission. 60 minutes consultation to discuss client’s goals and answer questions concerning options and process. We require 24 hrs advance notice for cancellations.